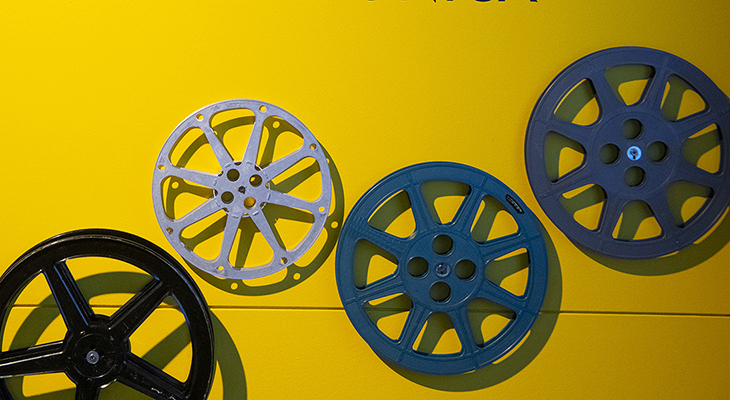 Do you know what an audiovisual archive is? Why is it important? What is all this material saved for? What does it contain? How is it preserved? You can find the answer to these and other questions in this small format sample. Thus, we are launching another new small format proposal in the Espacio Efemérides. A communications platform for Telefónica’s historical technological heritage, a highly valuable trust consisting of objects, documents, and audiovisual material essential for understanding 20th-century communications technology, providing information about the social context of the previous century. This exhibition is just a small taste of what Telefónica’s audiovisual archive is, its contents, and the conservation project under development in recent years. Fundación Telefónica manages and safeguards Telefónica’s historical documentary collection.This is a set of documents generated by the company over the course of its activity since its foundation in 1924. To preserve Telefónica’s long-term memory, and that of the country itself through it, and to help raise awareness of this collection, the task of cataloguing and selectively digitalising the material after its preparation and inventory was undertaken many years ago. It consists of different types of materials: books, telephone directories, maps, periodical publications, training manuals, photographs, audio recordings, and a wide variety of audiovisual pieces. This material provides an extensive and varied range of information about the evolution of society and economy from the company’s point of view. It also reflects the evolution of telecommunications and their application in the development of the country. So what is Telefónica’s Audiovisual Archive? Telefónica’s Audiovisual Archive consists of the recording of the different actions the company has taken over the course of its history in very different areas. From advertising to internal training, or from documentation of the works done to the reflection on technological milestones that managed to change the habits and customs of society. The first archived films date back to the 1920s, when Telefónica began to implement the new telephone system in the country according to a contract signed with the government in August 1924. The Company records these films to register progression on its work and also to advertise it: how it builds the new switchboards, the authorities who attend their inaugurations, how its workers are busy at their posts. Guards, technicians, dispatchers teach us now, over the span of time, what the jobs they did back then were like. These are images that make it possible for us to see today what society at the beginning of the century was like. New pieces start to be created for television, a new means of communication continuously on the rise. New services for the home and business are reported, and above all else, innovative advertising spots are produced, presenting a new language in how the Company relates to its customers. Since 2003, Fundación Telefónica has developed the recovery process of its documentary fund in several phases. The first block of material which was treated consisted of photographs and films that Telefónica retained from the 1920s. Since then, two other phases have been carried out. The priority was to instil the proper organization, its inventory, cleaning, and proper storage of the material. The digitalization of the material has been a key step throughout this project. This will be what makes its communication possible, researching the Technological Heritage that we preserve and studying its contents from multiple points of view. The digitalised material allows us to view and analyse it according to specific needs and purposes. However, the fact of having digital images cannot, in any case, imply that we can do without the original media. Which tools or programs allow us to view them now and in the future? What digital storage system is the most adequate, the one which guarantees the durability of contents and, above all else, its accessibility? The conservation of the archives cannot be reduced to the digitalisation of the contents. Experience demonstrates some formats are replaced by others, and that the conservation of original material is something essential in this process. As indicated in the UNESCO report on Audiovisual Archives, we can be certain there will not be a definitive format. However, digitalisation today ensures the preservation of the original media by limiting its manipulation and allowing its conservation in appropriate conditions. It furthermore allows us to communicate contents which would otherwise not be accessible, bringing them closer to the public, showing pieces that have been witnesses to our history, a journey that Telefónica began almost 90 years ago. They explain where we come from, our history… and knowing it is the only way to understand our present and sense the future we can build.